What do birds and dance have in common? Find out! Like migratory birds, the dances of North America travel from nation to nation. Beautifully colored songbirds may breed in the far north, but they winter in Central and South America. During a Zumba class, Heather Murphy realized this combination of dance, music, and culture might be used to attract the broader community to birds and nature. So she and Zumba instructor, radio host Rhona Baron created the Dancing with Birds curriculum for schools. You can download the material including posters, soundtracks, and videos – much of it in Spanish – for your own class. 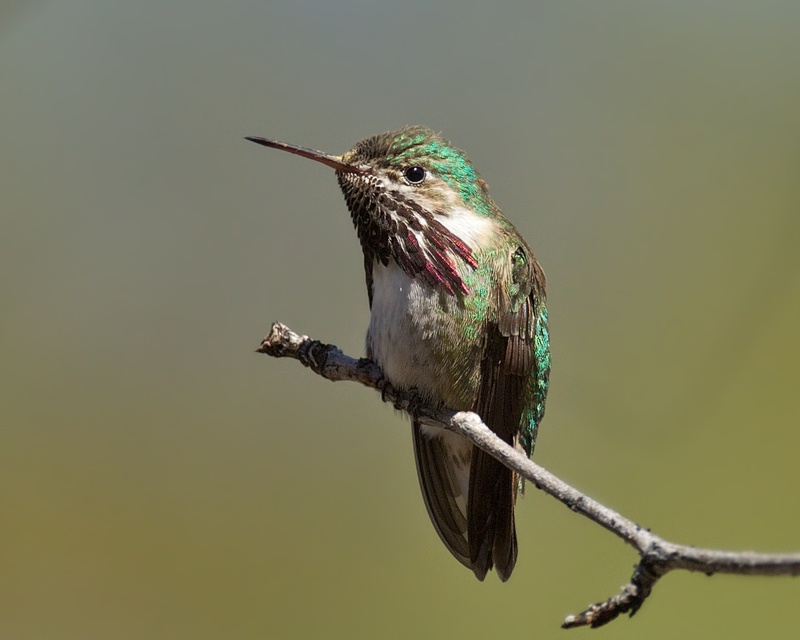 Imagine creating Latino-inspired dance to celebrate birds such as the tiny Calliope Hummingbird, the Long-billed Curlew – a stately shorebird – or the gorgeous Western Tanager. 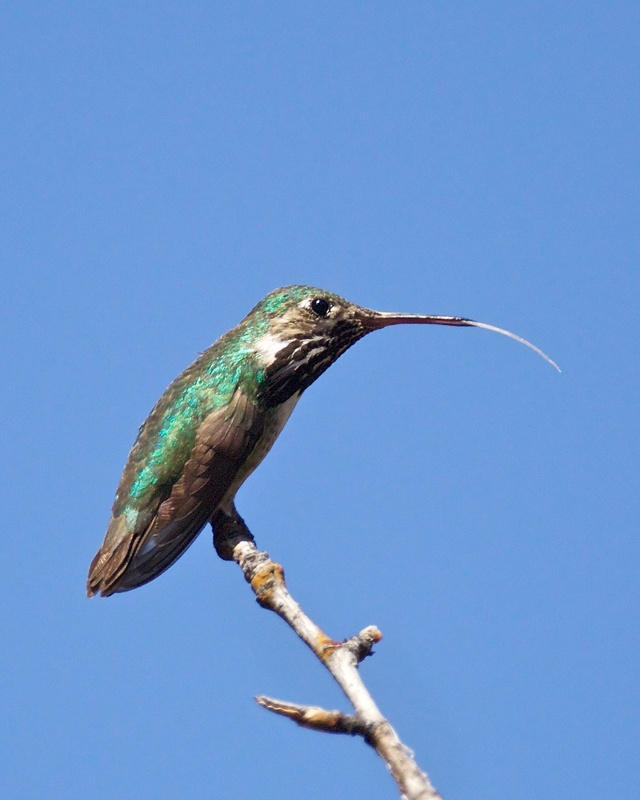 At this time of year, these birds and others are winging their way north from Mexico. For students and adults alike, dance can pay tribute to the birds’ beauty and fortitude. [Like migratory birds, the dances of Latin America travel from nation to nation….] The Western Tanager is a beautifully colored songbird breeding far into Northwest Canada. You’ll be lucky to spot this stunning bird, because the Western Tanager stays on its breeding ground for as little as only two months and is quite elusive. Are you a teacher? Someone who likes to dance? Someone who loves how birds connect cultures? You can download the curriculum for Dancing With Birds, including posters, soundtracks, and videos – in English and Spanish. 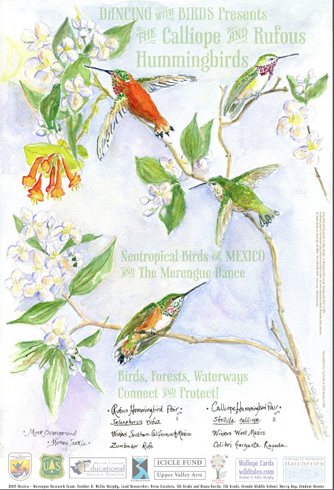 Begin at our website, BirdNote.org. Merengue and voice-overs used with permission from Rhona Baron; Dancing With Birds. Here's more about Dancing with Birds! Check out Audubon's Guide to the Birds -- in Spanish! Check out Dancing with Birds' Facebook page!